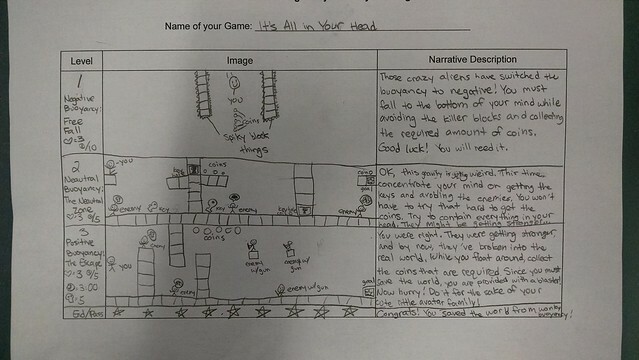 In the first stages of our science-based game design project, I have students do two steps of brainstorming. 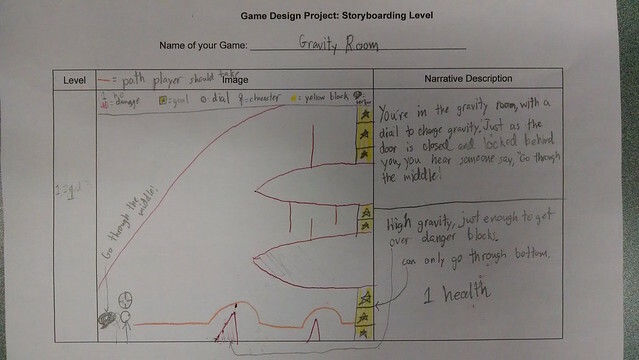 First, they have to write out some initial ideas for a story-frame (the narrative story around which the video game is built); the science and scientific vocabulary that they will bake into their game; and challenges or troubles they see on the horizon as they seek to bring their vision for a video game into reality. Then, we shift into storyboarding. 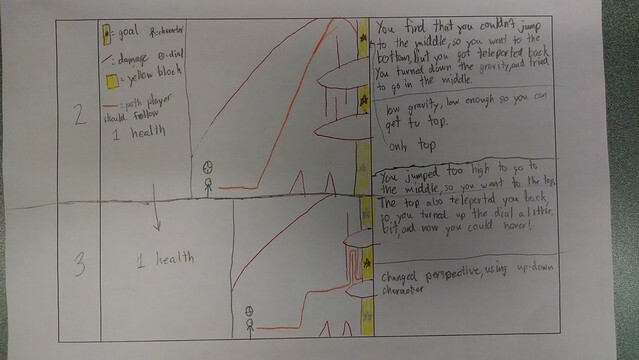 I emphasize a lot about the importance of this step, of putting onto paper a plan of design that will guide the development of the game. Even if they venture away from the paper design later, it will be an anchor point for them, a place to refer back to time and again.